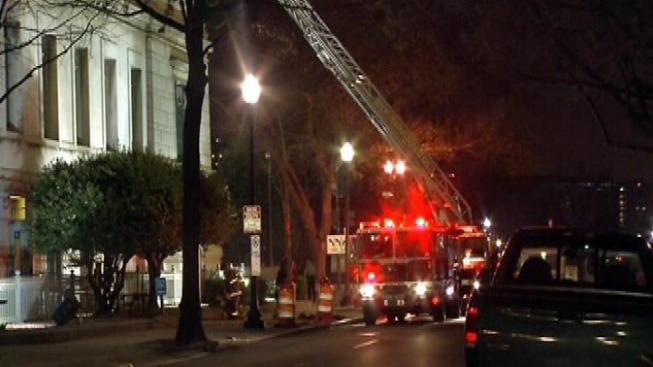 Crews were called to the Corcoran Gallery of Art in Northwest early Tuesday for the report of a fire. The art gallery, which sits across from the Ellipse and the White House was closed at the time. Investigators say the fire started in a ceramic shop on the ground floor and moved all the way up to the roof. The fire appears to have started in a kiln. “We believe that the pottery kiln was left unattended, overheated and caught some duct work insulation on fire,” Pete Piringer of DC Fire & EMS told NBC Washington. Students are able to use the kilns at any time; however, they cannot be left unattended. The fire did not affect any artwork. While the total damage is unknown, Piringer says he expects it to be in the "tens of thousands of dollars.” The official cause of the fire is also under investigation. The museum will be open on Tuesday for staff and students. It is always closed to the public on Tuesdays, but will reopen on Wednesday.